Schoolhouse of Wonder programs are only made possible through our partnerships. We are proud to work with a wide range of partners that believe, as we do, in the importance of being outside. Our partners are an incredibly important part of how we help thousands of kids get outside every year. All of these locations are open to the public, allowing our campers, students, and families to continue exploring, learning, playing, and growing outside of our programs (Brumley Forest Nature Preserve will open to the public in April). Our Durham programs at West Point on the Eno City Park are made possible through our partnership with Durham Parks & Rec. Our Wake programs at Umstead State Park are made possible through our partnership with North Carolina State Parks. 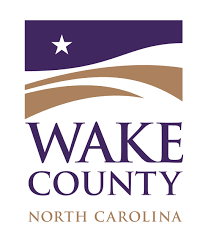 Our Wake programs at Harris Lake County Park are made possible through our partnership with Wake County Parks & Rec. Our Wake programs at Schenck Forest are made possible through our partnership with North Carolina State University. Our Orange programs at Brumley Forest Nature Preserve are made possible through our partnership with Triangle Land Conservancy.